Achieve organizational transparency and rapid speed to value with 25+ critical dashboards ready to go plus ad-hoc customization for business users. 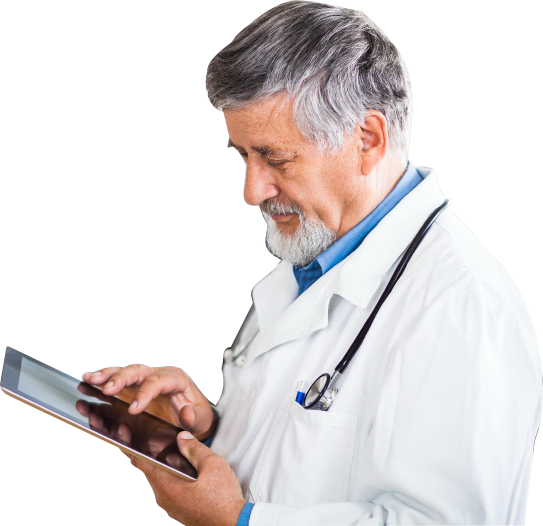 Core dashboards represent the fundamental metrics necessary to effectively manage a complex healthcare organization and are based on best practices. 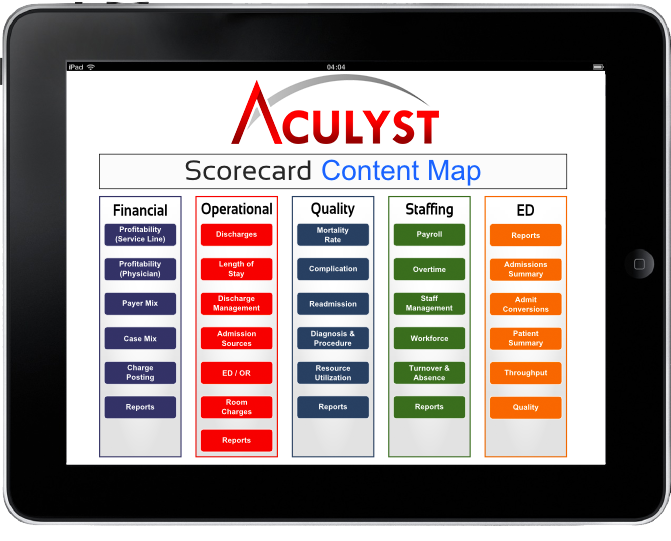 Aculyst Balanced Scorecard puts all your decision makers on the same page. 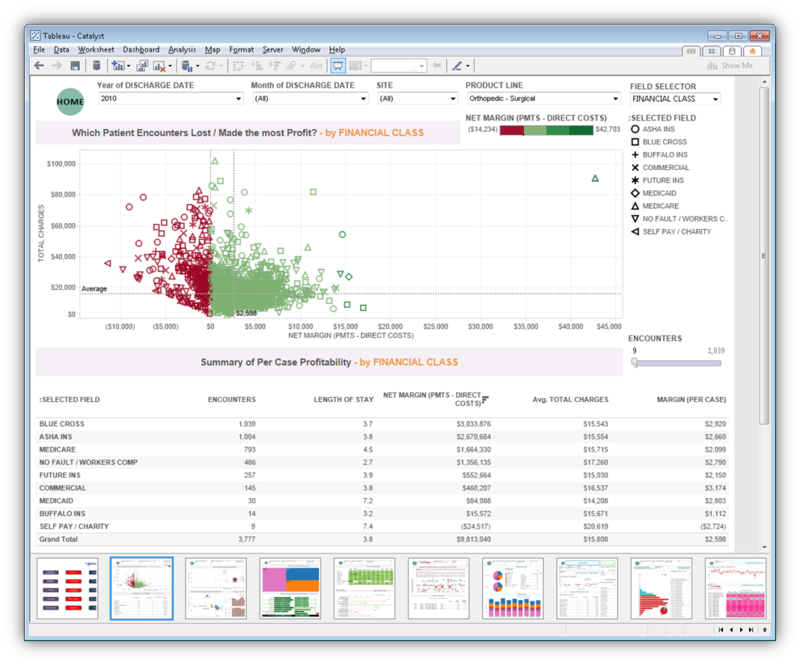 Finally achieve real-time reporting and transparency into profitability drivers. Executive decision makers and service line managers are empowered to make meaningful decisions because they share the same version of truth. Aculyst Pre-Built Data Model means you gain ROI in weeks, not months or years. Start increasing profitability today.